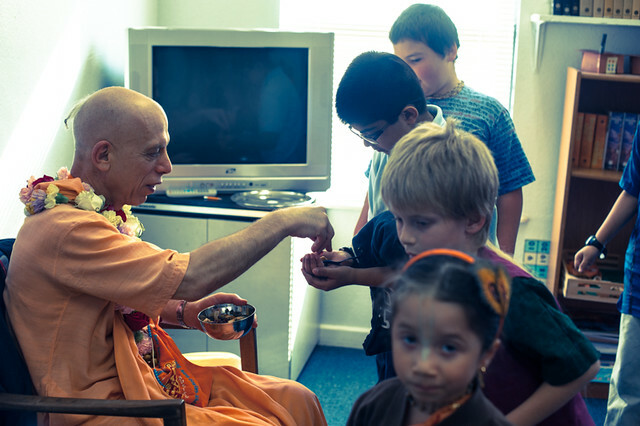 Yesterday, Friday December 7th, His Holiness Srila Prahladananda Swami visited the students and TKG Academy. How magical it was! 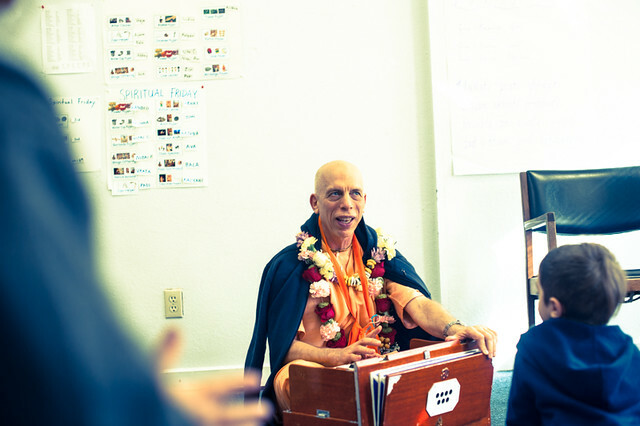 He led a gentle kirtan. 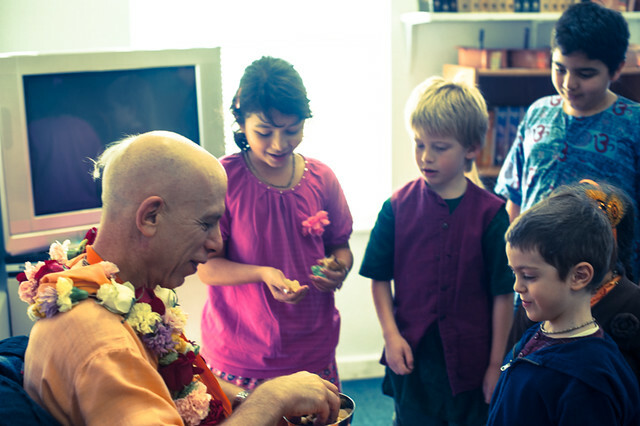 You could immediately see how much he was relishing each beautiful name of Sri Krishna. 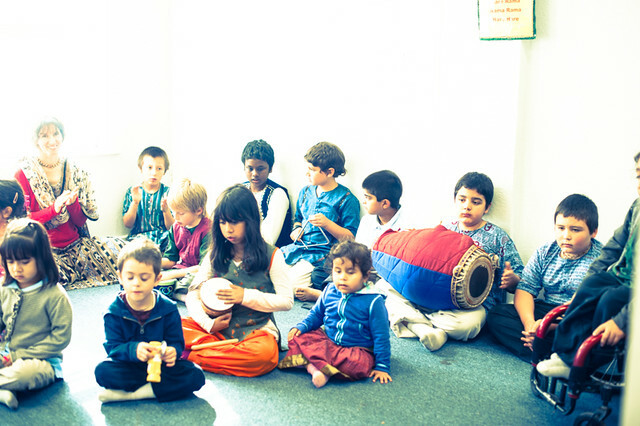 Students joined in with their instruments and voices, singing for Lord Jagannath’s pleasure. 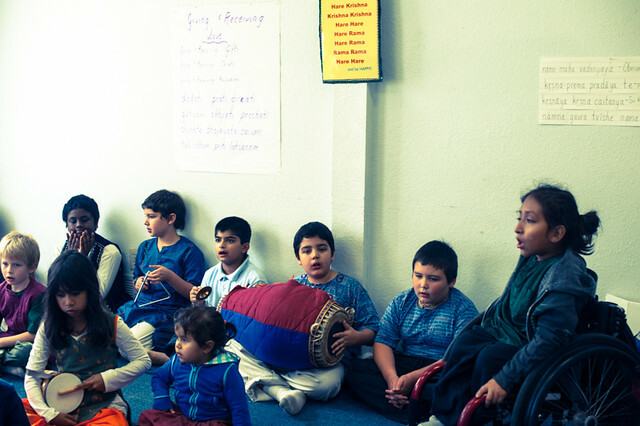 As soon as he began speaking, he immediately connected the students to his topic. 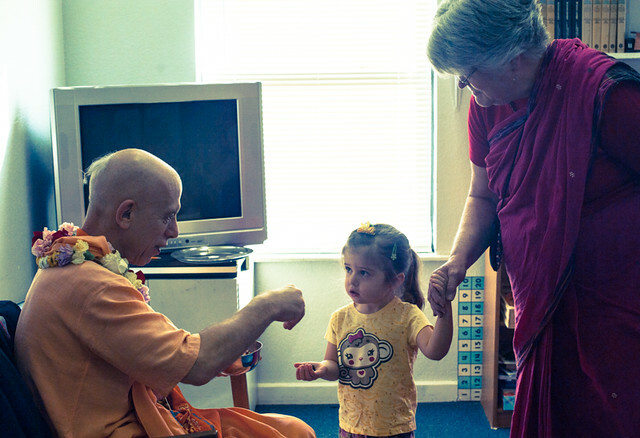 “Wherever there is Krishna, that place is Vrindavan.” He said. 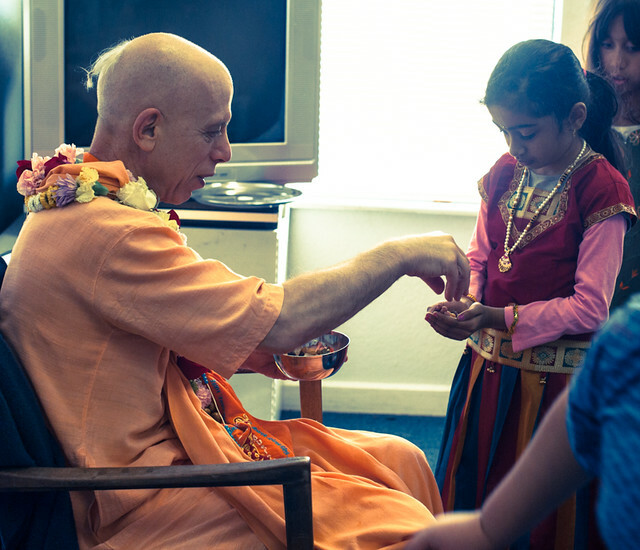 “Who else lives in Vrindavan with Krishna?” So many hands shot up, excited to tell! Cows! 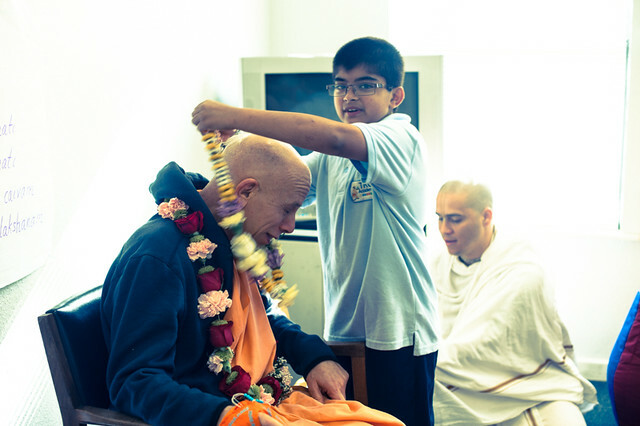 Balaram. 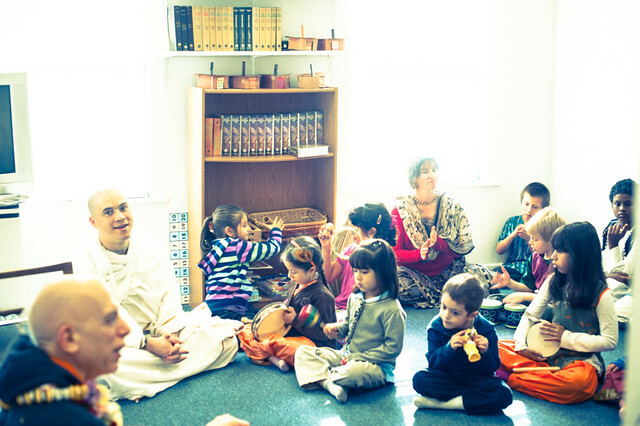 Mother Yashoda. 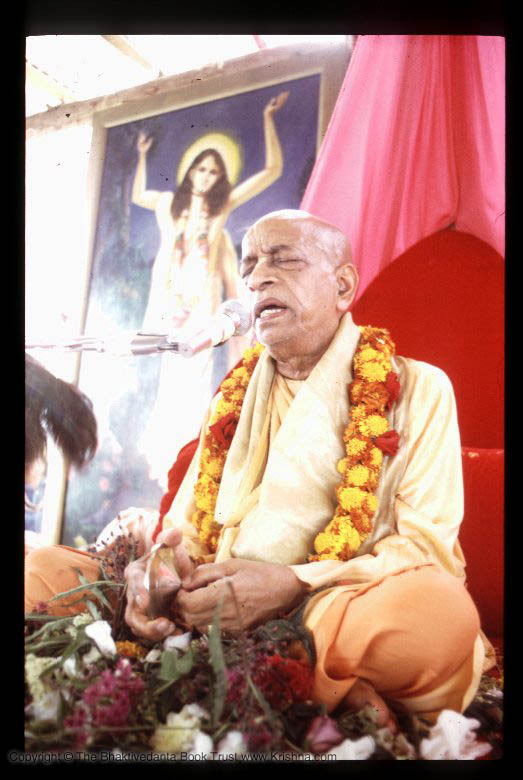 Nanda Maharaj. The cowherd boys. The Gopis. 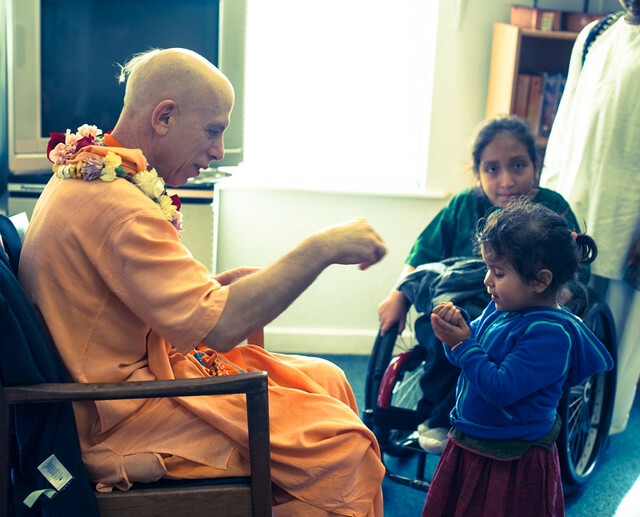 “and Dadhi-lobha” little Vishakha shares as she pretended to be Krishna’s favorite monkey. 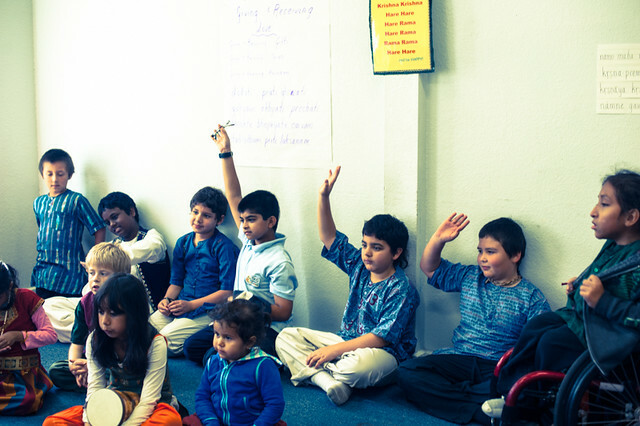 A teacher knows that asking questions is the best way to capture the students attention. 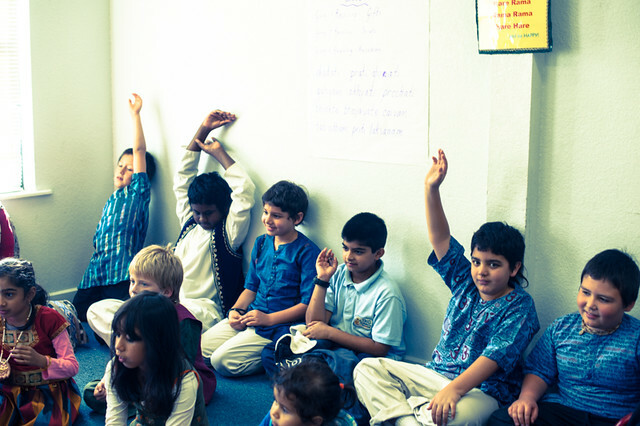 An excellent teacher will spend more time asking questions, instead of answering them. 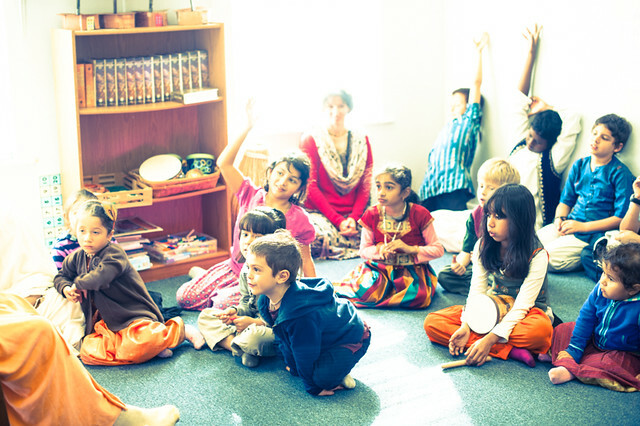 It forces students to think, to work their minds and not lazily just depend on the teacher for all the answers. 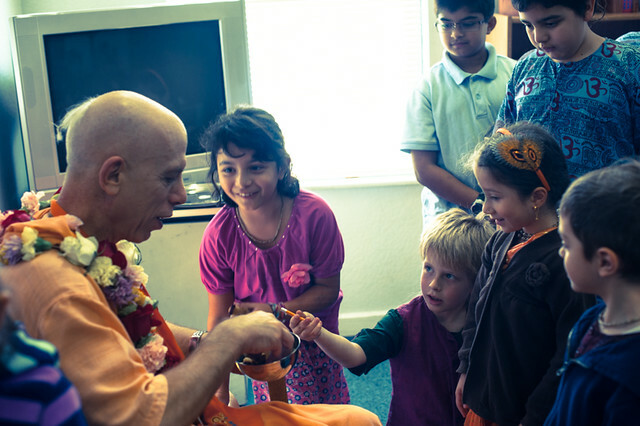 HH Prahladananda Swami showed his expertise in working with kids by this automatic method. Then, he answered their questions one by one. Have you ever performed parikrama of Govardhan Hill? 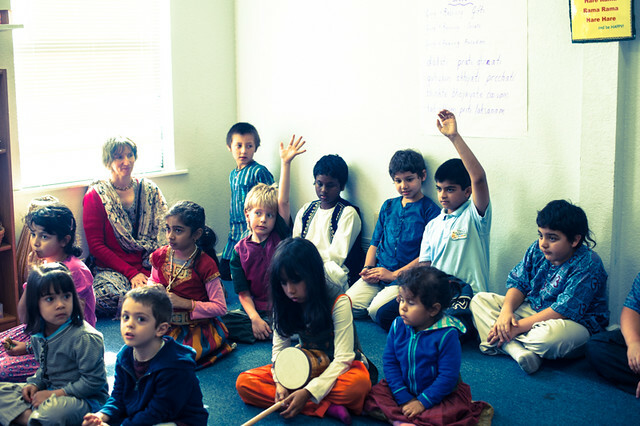 What is your favorite Deity of Krishna? 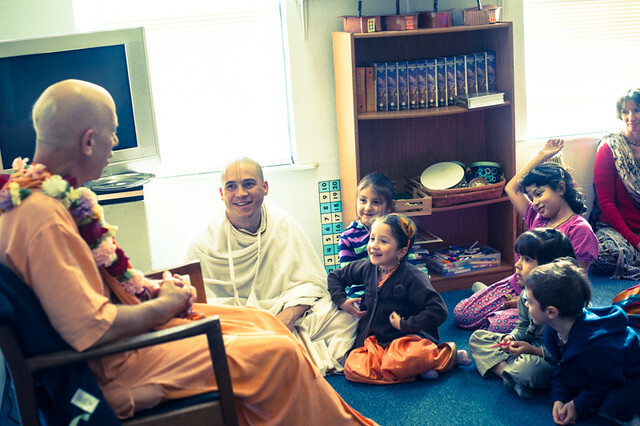 How did you become a devotee? 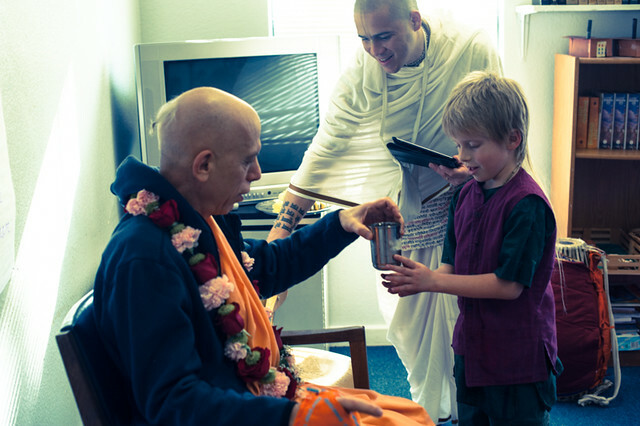 When did you meet Srila Prabhupada? Students laughed as his tongue – in – cheek answers gave way to philosophy. 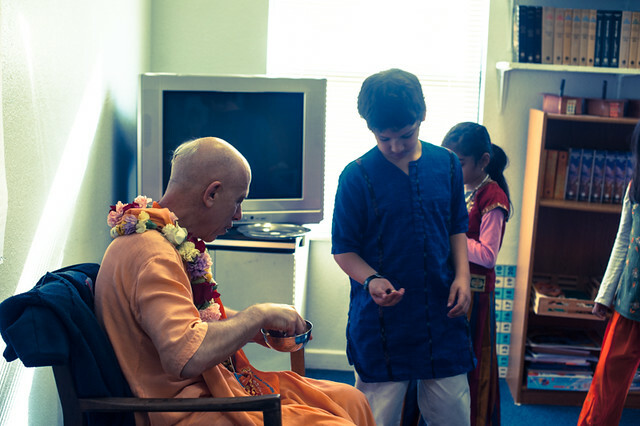 He stayed and took a tour of the facilities and gave us instruction on keeping the quality of the Krishna conscious education strong. We thank him for his visit. Here are pictures!